After two years as head chef at the Langdon Court Hotel at Down Thomas near Plymouth, Jamie took a position as head chef at the Belgrave Sands Hotel, Torquay before moving to The Wardroom in Salcombe in 2017. 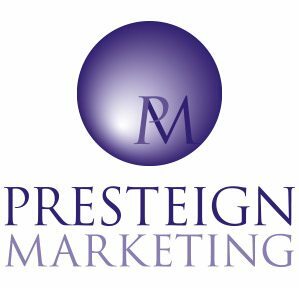 He began his career in catering at the age of 12, washing dishes and helping with some prep at The Cricket Inn, Beesands. He later worked as an apprentice with the Tanner brothers at Tanners and the Barbican Kitchen before taking a position as sous chef at the Glassblowing House on the Barbican at Plymouth. After a spell at the South Sands Hotel at Salcombe, Jamie moved to Langdon Court Hotel in 2013, initially as sous chef but he was promoted to head chef in 2014. Later that year, Jamie entered BBC MastcefChef reaching the quarter finals and after entering South West Chef of the Year three times, won the Professional Chef category in 2015, also being awarded the title of overall South West Chef of the Year. After a short spell at The Wardroom in Salcombe, Jamie opened his own restaurant, Twenty Seven by Jamie Rogers, in Kingsbridge, Devon in the spring of 2018. James trained as an apprentice chef at Exeter College while working at the Diggers Rest at Woodbury Salterton. He then moved to Oxford to work as chef de partie in a 2 rosette pub and worked a stage at Gordon Ramsey’s 3 star Hospital Road restaurant. James then returned to Devon temporarily to take the position of chef de partie at ABode Exeter before moving to Sussex to work at the Michelin-starred Restaurant Tristan in Horsham, Sussex. James then returned to Devon again to work as junior sous with Tom Williams-Hawke at The Salutation Inn, Topsham. Later taking the position of sous chef, it was from here that James entered and won South West Young Professional Chef of the Year. Thanks to his success in the competition, James was offered the position of head chef at No.1 Rock Road, Rock, Cornwall and he began his new role there in March 2016, achieving a Gold award in the Taste of the West restaurant awards in June 2016 and being named as a finalist for Chef of the Year in the Cornwall Food and Drink awards. James also took part in the finals of the Craft Guild of Chefs National Chef of the Year in 2016. In November 2016, James was appointed by Michael Caines as head chef at The Coach House by Michael Caines at Kentisbury Grange Hotel in North Devon. After leaving school, Jack initially took a two year course at the Michael Caines Academy and as part of this course worked a stage at The Salutation Inn, Topsham with chef Tom Williams-Hawke and another at the Hand and Flowers, Marlow, with Tom Kerridge. 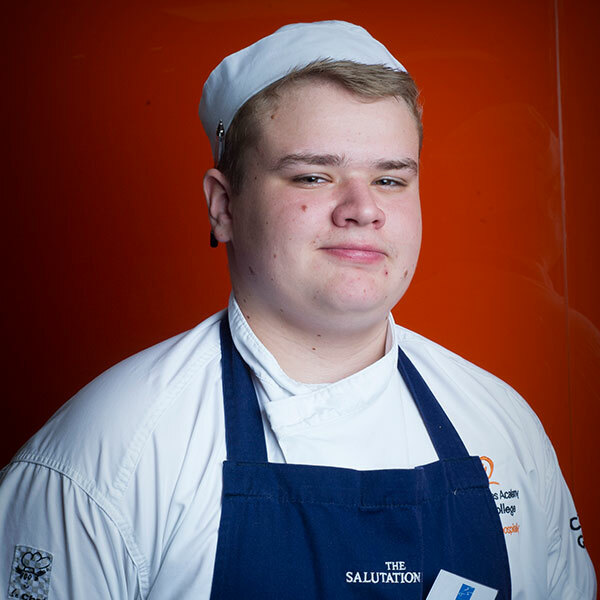 Following his stage, Jack was offered the role of part-time commis chef at The Salutation Inn, while he continued his studies for a level 3 NVQ at Exeter College. After completing his NVQ, Jack worked as commis chef at the Salutation Inn before moving to Paschoe House, near Crediton, for its opening. In early 2018, Jack took the position of sous chef at the newly refurbished Galley Restaurant in Topsham, Devon. For the first time in the history of South West Chef of the Year the judges selected joint winners in the Junior class. Andrew Callaghan, a pupil at Clayesmore Senior School, Blandford Forum, Dorset and Julia Kwiatkowska, from Hayle Community School in Cornwall both demonstrated a fantastic range of skills and understanding of the locally produced ingredients they were using to create their very accomplished dishes. Our judges were simply unable to split them! All junior finalists benefit from mentoring in preparation for the final from top chefs and as part of their prize, Andrew and Julia spent a week gaining valuable experience in the kitchen at Le Champignon Sauvage in Cheltenham with two Michelin-starred chef proprietor, David Everitt-Matthias and his team! 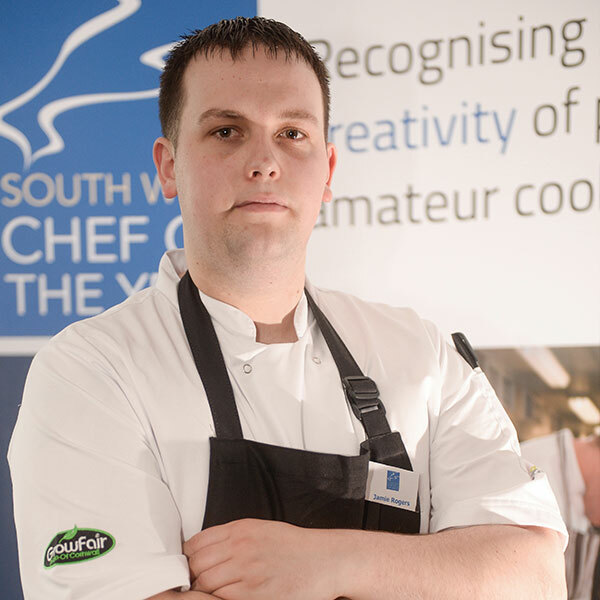 Andrew was mentored in preparation for the final by twice finalist in the professional category, Brett Sutton, chef proprietor of The White Post in Rimpton, Dorset. Andrew is currently studying for his ‘A’ levels and whilst still undecided whether to pursue a career as a chef or as a pilot, he received several job offers after winning the competition and has taken advantage of various opportunities to gain further work experience. 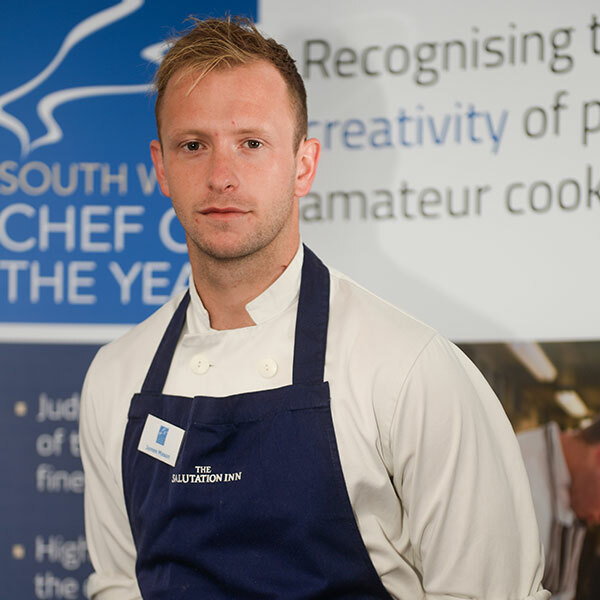 Andrew entered the Home Cook category of South West Chef of the Year the following year and successfully reached the final! 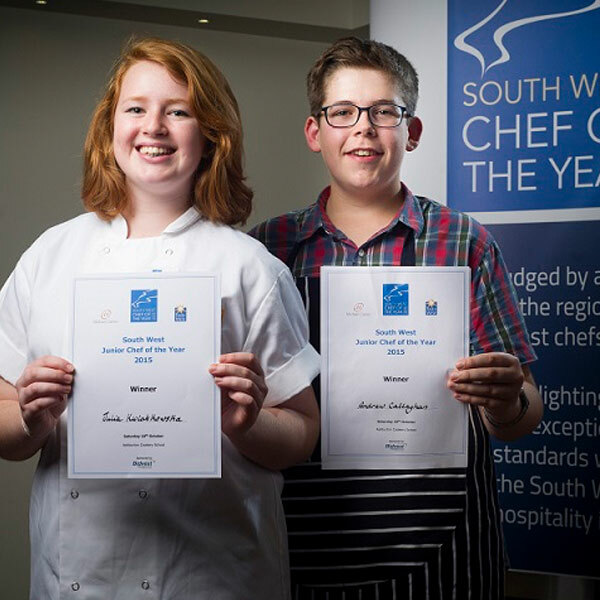 “Winning the Junior Class of South West Chef of the Year has changed my life, and the opportunities granted and gained from it have been truly phenomenal. To be honest, without the South West Chef of the Year Competition I can truly say that I don’t know where I’d be today. 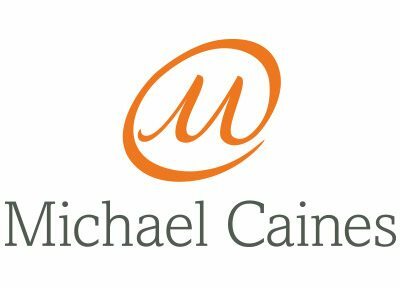 From the terrific two Michelin star work experience at the Le Champignon Sauvage (which was a tremendous experience), to the knowledge, expertise and skills that I have learnt from both the competition and work experience, all will help to get me out into the culinary world. 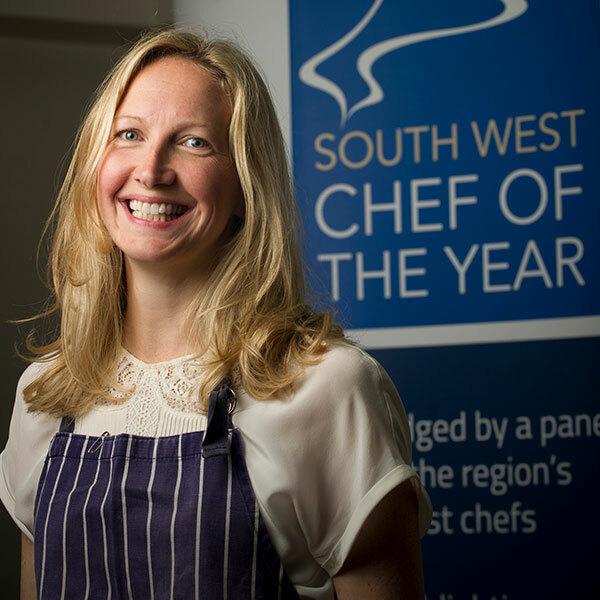 Julia received mentoring in preparation for the final from South West Chef judge, Stephane Delourme, head chef at Rick Stein’s Seafood Restaurant in Padstow. Julia has always enjoyed cooking as her family cooks and bakes on a regular basis. Julia helped out from a young age and has now started to take responsibility for more of the family cooking. Since she was around 10 years old, she has also enjoyed making birthday cakes with fun decorations. As she has developed her skills, she has been commissioned by others to make celebration cakes. Julia also bakes for and helps out with charity bake sales. As a result of winning South West Junior Chef of the Year, Julia was offered a job at the Rosewarne Manor restaurant in Cornwall where she currently works while studying for her ‘A’ levels. In the future she hopes to work in various restaurants to gain further knowledge of the industry and ultimately dreams of opening her own bakery to create a business from her passion for baking and decorating cakes. Nicola YoungsNicola loves to cook for her family and has always been keen to use ingredients produced in the area surrounding her home in Dymock in Gloucestershire. Since winning her title, Nicola has appeared regularly on BBC Radio Gloucestershire, sharing her recipes and cooking tips with the people of Gloucestershire.